Most Filipino dishes are generally a bold mix (or pair) of any two of these: sweet, salty, spicy, sour. The combination of flavours in a dish extract these basic tastes from the food and then onto your taste buds, and the fusion becomes the standard. The way it should taste. Take for example, the sweet rice cupcakes or puto. They are topped with cheese or salted egg and then served with pork dinuguan (pork black pudding). Pork adobo also becomes an example as the braised pork becomes sweeter as the pork is caramelised with the addition of sugar. The sweet champorado (chocolate rice pudding) is paired with the salty dried herring There are heaps of dishes that are contrasting in flavour and yet complements each other as a whole. Filipino cuisine is unique. 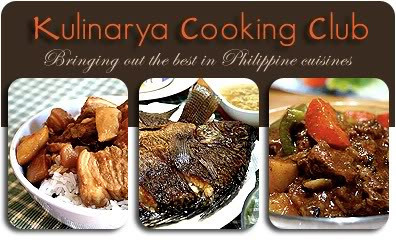 Although the influence on food comes from the different countries who came to occupy the Philippines before and after the country's independence in 1898. From Spanish to American dishes, influences from neighbouring Asian countries - Chinese, Thai, Malay, Indian and Japanese. And the result, is a culinary fusion that sets it apart from any other. Filipino dishes while sometimes can taste similar to several cuisines, there's always that one ingredient that will make it stand out from the rest. Now this spaghetti is unique too. It has catsup! And not just ordinary catsup. It's banana catsup. It's as Filipino as it can get. Prepared with pork or beef mince, plus slices of hotdogs, banana ketsup/catsup and some sugar. It is sweet kind of spaghetti with the sauce thinned out with some water and further sweetened with the addition of sugar. We don't usually prepare this at home, as I find making the classic meat based ragu or bolognese easier and more convenient with common ingredients, i.e. don't have to take a trip to the Filipino shop to get some banana ketsup/catsup. But this is something common back home. Why it's even served at the local fastfood chain Jollibee. And even McDonald's in the Philippines has this kind of spaghetti. Using a large saucepan on medium heat, add about a tablespoon of vegetable oil and then cook the onions and garlic until soft. Add the minced meat and cook until brown. Add the tomato paste and stir to coat the meat. Add the banana catsup, passata (tomato sauce) and the hotdogs and stir. Bring to a boil. Add the sugar and water and let it simmer for 20-25 minutes. Serve with spaghetti noodles and top with grated cheese. I've made this specially for this month's theme at the Kulinarya Cooking Club. Its not our usual spaghetti dish, but its familiar. And it strikes close to home. That does look very delicious. Lovely plating too. I love Viet food due to its rich culture and its distinct taste, and I'm interested in Filipino cuisine despite not having tried many Filipino dishes, so I shall continue to read your blog for more tips :) ! Thanks for sharing this simple yet nonetheless awesomely delicious recipe! Thanks Tina! Its always great to hear teenagers inspired by the food of their heritage. Asian cuisines I believe have that deep food history and heritage that needs to be passed onto the younger generation! I've only just started loving Vietnamese food after a Cabramatta Crawl with Thang and its opened a whole new food world for me! I can never get enough of pho, banh mi thit and fish curry! Noms! Wow! This is really cool Anna. I never knew banana sauce existed, but I bet it tastes amazing. Great fusion of flavours. Yum! Thanks Martyna! Yes banana catsup/sauce is an alternative to tomato sauce/catsup in the PI. I believe its because there are more bananas than tomatoes that this became a local substitute. Great to meet you on the weekend! Wow, such a great recipe, with an interesting ingredient. I love how you are introducing your readers to new delights. Thanks Aicha for the kind words. Love to drop by your blog too!